Author Stephen Robinson illustrates the power of the Savior as he uses analogies and parables, such as his own bicycle story, and scriptures and personal experiences in this moving, best-selling book. “Mortals have finite liabilities,” he explains, “and Jesus has unlimited assets.” By merging the two, exaltation can come. As long as we progress in some degree, the Lord will be pleased and will bless us. We must not only believe in Christ but also believe him — believe that he has the power to exalt us, that he can do what he claims. People will better understand the doctrines of mercy, justification, and salvation by grace after reading this book. Stephen E. Robinson teaches religion classes at Brigham Young University, and is the former chairman of the Department of Ancient Scripture. He received a B.A. in English Literature from that university and a Ph.D. in Biblical Studies from Duke University. Brother Robinson has taught at the University of North Carolina at Chapel Hill, Duke University, Hampton-Sydney College, and Lycoming College. While serving as department chair in religion at Lycoming College (affiliated with the United Methodist Church), he served as bishop of the LDS ward in Williamsport, Pennsylvania. 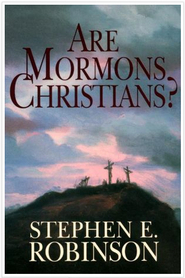 He is the author of Following Christ, a companion volume to Believing Christ, and Are Mormons Christians? and the coauthor of A Commentary on the Doctrine and Covenants, vols. 1 and 2. Dr. Robinson’s articles have appeared in Journal for the Study of Judaism, Ensign, Anchor Bible Dictionary, Coptic Encyclopedia, Old Testament Pseudepigrapha, and Encyclopedia of Mormonism. Just gotta day i am somewhat shocked at those reviews that suggest that the authors analogies on the Atonement are false doctrine. Nothing can be further from the truth. Just read the book and listen to his wife’s story of works, and how she gained a more complete understanding of the Atonement. And the analogy of the bank joint account also illustrates very nicely our relationship with the Savior. Of course without Christ we cannot be saved! Works without faith are dead. But so aid faith without works. All God asks of us to give us the free gift of Eternal Life is to try our best to be obedient to his commands. That is not false doctrine. The Parable of the Bicycle teaches you that you can only get so far, and Christ makes up the difference. The problem with this is there are tons of scriptures that make it very clear that there is only one name under heaven whereby man can be saved (Note that your own name is not in that scripture) and that we must rely WHOLLY upon the merits of him who is mighty to save. Our job is to come unto Christ through faith and obedience to the principles and ordinances of the Gospel and he is accessible to us because through the Atonement he descended below all things. But to get from mortality to salvation in the Celestial Kingdom of our Father, Christ takes us 100% of the way. We don’t earn partial credit and get ourselves $5 of the way there as the parable suggests. We can’t save ourselves even one tiny bit. Christ is our Savior and no one else, not even ourselves. Our work is to obey Christ’s Gospel and then He will save us entirely. As I have read this book following my study on the doctrine of GRACE, I find how the gospel is truly connected. Each of the principles and covenants are integrally connected, you cannot discuss any one aspect of the gospel without it leading into another and another. Bro. Robinson's book gives one more understanding of how grace is the force coming from the atonement, and how our Heavenly Father and Son provide for us a way to be cleansed that we may return to the celestial kingdom. It brings reality to how when we first exercise faith to believe and start up the strait and narrow path, and continue in obedience to the covenants we take upon ourselves showing our love for what God has provided for us, and will continue to grant us through grace that we may be perfected in Them. It has opened my mind and heart to a more fulfilling relationship with my Savior and has caused me to rejoice in the exquisite joy of grace and the beauty of the gospel. It does require one to open their heart and yearn for greater understanding. I know it comes as a fulfillment of prayer so that we can more completely understand grace and how it completes or journey through life. I once believed that it was at the end as we were judged that grace took its final affect on each of us. But this volume has increased my understanding so that I know it starts when we accept Christ and begin to believe and trust in his grace. There are now many other books by different authors that will expand on this volume, that you may take hold upon the gospel and understand it more completely if you humbly seek the truth. I love the analogies he uses to explain how covenanting with Christ makes us celestial material. I've read this book several times and I just simply loved the analogies used in this book! If you start on page 23 and read the section "How Perfection Comes" you'll have a clear understanding of how covenanting with Christ makes us perfect and eligible to enter in the Celestial presents of God the Father. This section will also help one's understanding of the many Old Testament scriptures wherein the words, "The Bridegroom" and "Marriage" are used to explain the relationship we must have to be perfect as He is perfect. I recommend you read the whole book so when you reach page 23 you have a better understanding of the covenant "picture" to build off of. Its an easy read and definitely worth the time. I found my self in my bishop's office as a YSA at the time. 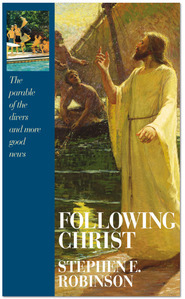 I was concerned and wanted to know how I can better get along with others and see them the way Christ sees them. My Bishop recommended this wonderful book. I don't think I got all of my questions and concerns answered from reading this book, but I have read it twice since then to remind myself of my worth. I have since understood that I did believe Christ, but that I had to come to the knowledge of believing in Christ when He says He will keep his promises. Because He really will keep His promises. Have appreciated the message of this book for many years. Just re-read it. Just ordered more copies for my kids. Great message. No doubt some reviewers can find flaws in the style or analogies. But, for me it has long been an anchor to my understanding of what is realty important in the gospel. Too easy to get bogged down in the daily rigor of the church. This book brings me back to what matters. I read this story years ago and thought it was a nice story but desperately struggled with the concept of what is my part that I have to bring to the table. How many pennies do I have to earn before Christ will make up the difference. I kept asking myself if I had done enough. It wasn't until I read Brad Wilcox's byu talk on the atonement (there is a book also) that I had that "aha" moment to clear up my confusion about Christ's atonement. 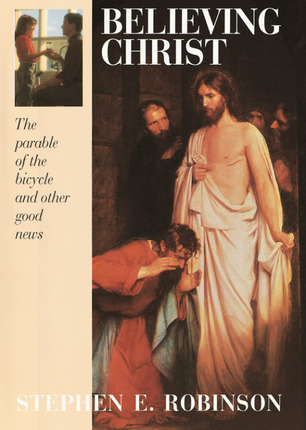 Although this is a nice book about Christ with lots of truth, the overarching parable of the bicycle isn't a great example of the atonement and I wouldn't recommend it. I do NOT know if I would still be a member without this BOOK!!! It's short and quick and a fantastic read. In my brother's mission, they could only read the scriptures, ensign and this book, and they do that for a reason! It's excellent. I'd buy tons for my friends!!! I don't know what that other reviewer's problem is, this isn't false doctrine. This is a must read for all members who grew up with "traditional" views of justice and mercy. Although I have known of the atonement my whole life, I have never understood it until this book. Very relatable and inspirational. I was given this book as a gift years ago when it first came out. I was very disappointed in the false doctrine discussed by the author on some very key principles, such as faith. I was even more disappointed that it became popular and used in Gospel Doctrine classes in my area. Brigham Young University is the oldest existing institution within the LDS Church Educational System; today it has branched out to BYU–Idaho and BYU–Hawaii. The majority of the students who attend the Brigham Young Universities come to school with a basic understanding in the peripherals of the gospel; Robinson emphasizes and breaks down the vitals of the restored gospel in such a way that is simple for your non religious scholars to understand. Robinson is a professor of Religion at BYU and has written numerous books on the subject. His methods of development which stood out were the use of narration as well as exposition. Exposition comes from his use of explaining and analyzing the principles of the gospel and the atonement with clarification on what they truly are. The narration is used as he refers back to the events documented in scripture as well as stories from present day experiences that he has seen from his students and experienced himself. This book narrows down key point after key point of the gospel and demonstrates how it all ties into each other. It teaches the difference between believing in Christ and what it means to actually “believe” Him, having faith in what He can do for us now and not only in what has already been done. An accurate index is provided with given information and scriptural resources giving perfect locations on certain topics to the book. Footnotes clarify and extend points made in the body of the text which is helpful to the readers considering the audience this book is written for. In conclusion, his final chapter of the book, a great sum up of what Robinson is trying to teach us through the whole novel is presented. It is very simple yet professional, ending with a direct quote given by the Lord from the Doctrine & Covenants, an appropriate ending that ties in the very purpose of the novel. This is probably the best book I've ever read. Absolutely amazing. I've never really fully understood the atonement until I read this book. This has helped me decide that I DO want to go on a mission. Buy this book. It will be the best $20 you ever spent. I promise. Reccommended by my bishop, this book helped me step up to coming back into full membership again. It's simplicity is decieving - it has a powerful and easy to understand message of hope and Christ's love. As long as you're heading in the right direction and your heart is in the right place, the atonement takes care of the rest. Definintely, read this book. 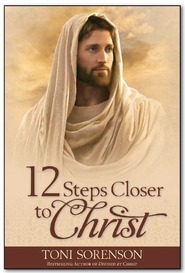 This book shows that life is a series of stepping stones by which Christ and Heavenly Father lead us closer to Heaven. No one reaches perfection in this life, but Christ helps us get started. Brother Robinson shows that each moment is worth it and that we can and must truly trust His teachings. I was encouraged by many people to read this book. Having heard so many good things about it, I bought it and began to read it. I only made it about half way through it before I became bored with it. I have since tried to re-read it, but with no success. I believe there are other books out there, similar in content, which are written better. Great book to read to get back on "track"
I really do appreciate those who have a better understanding of the Atonement and can write it down to help the rest of us better understand it. It is a great book to read. I read this book over and over. It really has taught me what the true meaning of the atonement is. It never ceases to amaze me how often I hear that we believe we work our way to salvation (note: I don't mean work out our salvation). Brother Robinson brings perspective back to our relationship with Christ and our dependance on Him. Buy a few extra copies and pass them around. This book is what made me relize the atonment could work in my life. A must read for anyone who thinks they are unforgivable.